Maria Trifulca – My favourite restaurant in Seville! We just arrived back home from our holiday in Bali, Indonesia, and we are already counting down the days until we go back. We absolutely loved every minute of it! Bali is one of the most popular destinations in Indonesia and it is perfectly easy to understand why. It has been popular with tourists since the 1980’s. It’s heaven for surfers, dancers, musicians, yoga enthusiasts, foodies and spiritual people alike. Bali is stunning, the beaches are perfect for sunbathing and surfing, the hiking is perfect, the locals are super friendly and genuinely helpful, and most importantly its not expensive. We never experienced a place quite like Bali. The Balinese are the most serene and kindest people I’ve ever met. You recognize the humanity looking in their eyes and recognize their content with life through their smiles. The strong sense of community can be easily felt, even towards strangers. Living amongst people who are genuinely happy, who genuinely care for others, and are self-less and giving, makes you reflect about your own state of happiness. We spent nearly two weeks exploring the island but we will surely go back to explore more of it. This blog post about Bali will surely help you plan your next trip around this gorgeous island. Beyond the chaotic traffic, hundreds of scooters beeping their way through two lanes of traffic turned into four, one begins to discover that there is something truly magical about this island. Everywhere you look there is immense natural beauty. One of the best things about Bali is that despite being fairly small, it offers something for everyone. If you are a surfing enthusiast, Bali is definitely the place for you as some of the best surfing beaches in the world can be found on the western side of the island. The eastern side, on the other hand, is a wonderful haven for families, with white sand beaches and gentle seas. Bali is also well known for casual and tailored clothing, locally made jewellery, handcrafts, antiques and artifacts. For those who enjoy water related activities, Bali has world- class scuba diving and snorkeling day trips to awesome sites. 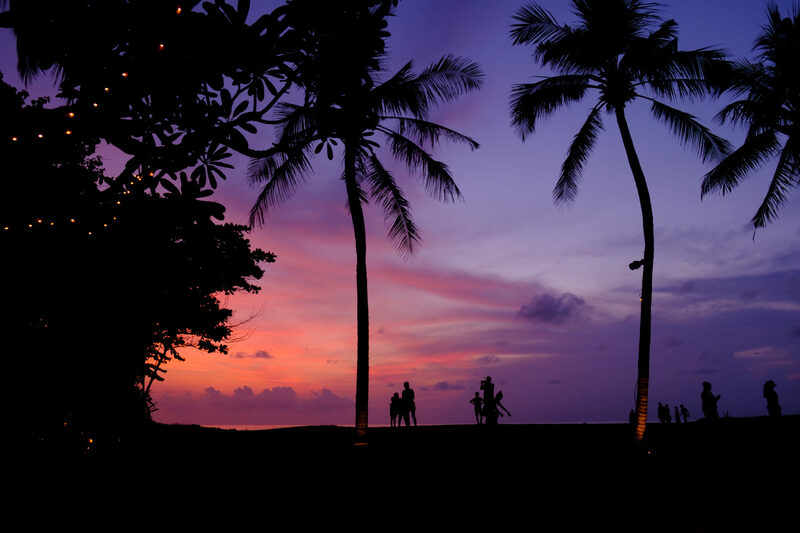 One can also enjoy a romantic moonlit dinner and watch spectacular Balinese fire dance or Kecak Dance. And if you want to dance the night away Bali certainly knows how to party and nightclubs are scattered everywhere. Bali is truly international destination, offering every standard of accommodation ranging from modest bungalow style hotels in bustling towns, to exclusive villas in the jungles or along open stretches of hidden small bays. Other worlds may exist outside Bali, but to the Balinese, their island is their entire world. Bali is a whole in itself, a total provider filled with all the physical and spiritual attributes essential to existence. To an outsider, Balinese life seems to be a continuous celebration with brief intervals for rest. This unique island comprises of eight regencies each of which were once rules by Kings and one city. The Balinese people are descendants of a race who migrated through mainland Asia to the Indonesian archipelago. Today they retain their own individuality while having adapted different aspects of various dominating civilizations which best suit their own individuality. Even though, the visa requirements for Indonesia have become much less complicated over the years, still, there is a lot of confusion out there. We want to help you to clarify the most important facts if you wish to travel to Bali and Indonesia. Maltese Passport holders can travel without a visa for up to a maximum of thirty days. Otherwise a visa is required. Remember: day of arrival and departure day count as full days each. Do your research and plan ahead. The area you choose will decide the type of experience you will enjoy. We think that the further out from the tourist hub of Kuta you stay, the more peaceful and quiet your trip will be. But this of course depends on what you want to do during your visit. Areas like Kuta are super busy and touristy and are great for family holidays with the kids, with direct access to tourist attractions, themed hotels, and central shopping districts. However, if you want a more relaxed holiday with access to private villas you can spread out to Legian or Seminyak. 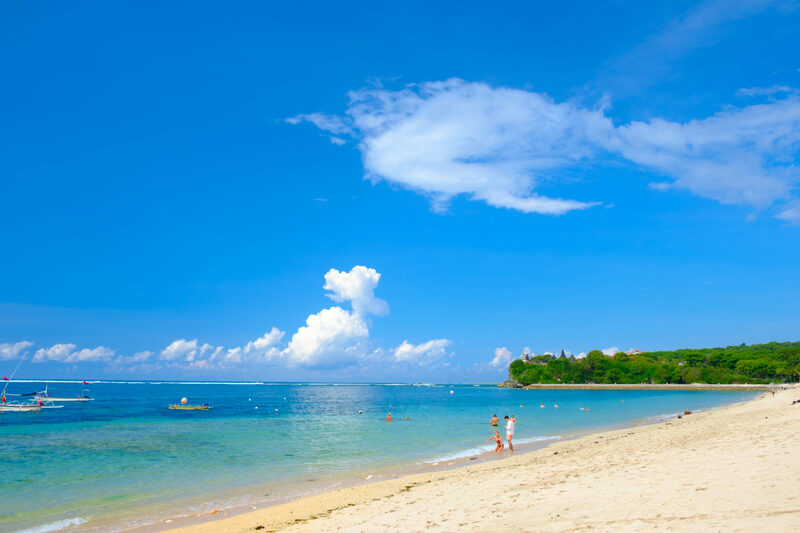 Nusa Dua is ideal if you want to practice water sports and Ubud is perfect if you want to be close to nature (more information about where to stay will follow in our next blog post). The first matter of business you are likely to want to sort out is getting your money exchanged, or getting to an ATM for access to some Indonesian Rupiahs (IDR). Currency exchange can be found at every turn, so it will surely not be an issue. You should always have cash, as not all shops accept cards. Make sure you carry enough with you to pay for your small shopping, transportation and food & drinks Do not be fooled by the many zeros of the Indonesian Rupiah also abbreviated as Rp. It might look as if you are holding enough cash to buy yourself a private jet but it is probably just enough for a cold can of local beer. If you chose to use a scooter during your stay always ensure you get a helmet with your rental – and wear it. Make sure that if you rent a scooter you are ready for it. Driving in Bali can be a chaotic experience and it wouldn’t be fair on other drivers if you don’t drive cautiously. The roads here are congested and the road rules are very loose. Scooters can be hired for around 50,000rp per day. They can offer a speedy way of getting around, just be sure to drive cautiously, watching for others scooting up and down footpaths to avoid heavy traffic. Rent a bicycle if you want to see Bali in the most earth-friendly way possible. If you choose to ride independently, you can see the Balinese countryside first-hand on your own schedule. Bali’s bike tracks come in many forms, from paved roads to off-road tracks. Organized bike tours of Bali are also available, catering to all types of bikers of all ages. Some of these tour packages usually include meals, safety gear, and return trips from and to your hotel. If you’re the sort of person who likes to eat and drink their way through a holiday then Bali will not disappoint. However, always be careful, don’t eat just anywhere. Most middle- to high-end hotels and restaurants are perfectly safe for tourists, but exercise caution when sitting down to an unknown restaurant. Stick to dining at places where a high turnover of customers is apparent; this indicates fresh food and a good reputation for safety. You can also check Trip Advisor reviews before you pick your restaurant, that’s what we do! Do not drink or brush your teeth (no matter how thirsty you are) tap water! The tap water in Bali is of uncertain quality, and is often seen as the cause of many a tourist’s case of “Bali belly”. When in Bali, stick to canned drinks or bottled water. The ice in Bali is safe – the island’s ice supply is quality-controlled by the local government. Try not to be without a ready supply of water handy, as the weather in Bali is often sunny; heatstroke can occur if you allow yourself to go without water for longer than is healthy. Carry water wherever you go! And if you want to help the environment, invest in a stainless steel water bottle that you can refill with filtered water at hotels and restaurants. Doing this will help reduce the estimated 3 million plastic bottles that are discarded in Bali each year. Bali is approximately 8 degrees south of the equator. So you can expect a tropical, warm and humid climate all year around with two main distinctive seasons: Dry Season and Rainy Season. Rainfall is something worth taking note of, because even though it’s warm tropical rain – the clouds can shadow the fantastic beaches. And if you are not aware about this you might be greatly dissapointed. High season is during the months of July and August during Easter Holidays, and Christmas / New Year.This is the time Bali is the busiest. The wet season lasts from end of December/ beginning of January until April. Subscribe to our newsletter for exclusive tips which will help you to travel the world.